In first part of “Will Blender 2.8 run on older computers” the minimum requirements necessary to run Blender 2.8 were discussed, namely the need for graphics hardware supporting and/or compatibility with OpenGL 3.3 or higher (largely as related to Windows OS computers), itself published c.2010. It should be noted that Blender 2.8 does cater to ‘legacy hardware’ to a degree in providing support for components and systems that are almost a decade old (based on OpenGL version supported), a very long time in technological terms. In this second part of the discussion on running Blender 2.8 on older computers we take a look at upgrading incompatible computers and hardware cheaply and where it can generally be acquired. Understandably what may be easily affordable and acquirable hardware for one person may not be for another. ATI Radeon HD/Mobility Radeon 2000, 3000, 4000 series graphics cards/on-board chips. Obviously upgrading notebooks (generally not upgradable), mobile workstations (upgradeable through MXM Type A or B modules/boards) and all forms of desktop PCs will differ depending on system capability, upgradeability and hardware availability, and may also require other component upgrades for proper functionality, larger power supplies for example. Marketplaces: To buy old graphics cards the best place to start is eBay (localised as ebay.pl, ebay.ca, ebay.es etc.) and/or other online marketplaces like Facebook Marketplace or Craigslist, where used computer hardware is sold – when buying it’s best to use ‘trusted’ (re)sellers where possible as purchases made through them are usually protected to some degree (where service is offered). Forums/Social Media: Still online, look through forums, social media groups or other places where members might post about old hardware they want shot of, in many cases this can be picked up free (collect in person) or for cost of postage. Local Newspapers: If internet access, distance etc. are an issue, look through the ‘want’ ads of the local newspaper for people similarly wanting to get rid of old graphics cards. Costs again may be as little as pick-up-in-person or covering postage. In all instances, whilst older graphics hardware may be difficult to find, when it is it can generally be picked up for comparatively little ($10 USD), desktop graphics cards being the easiest to find, MXM boards less so. 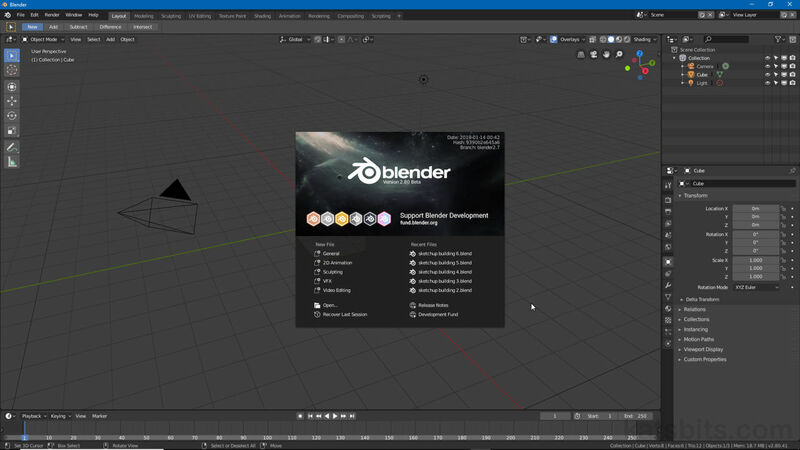 The only users that will have significant issues are notebook users whose systems may need to be replaced entirely for compatibility with Blender 2.8. With that said used notebooks can be acquired for considerably less than new, providing a short-term solution to any inability to run Blender 2.8 on such systems.